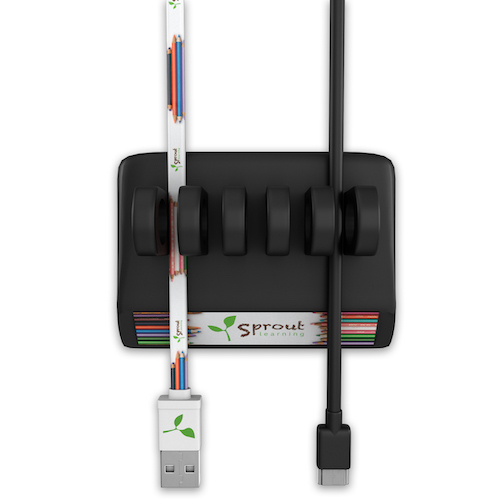 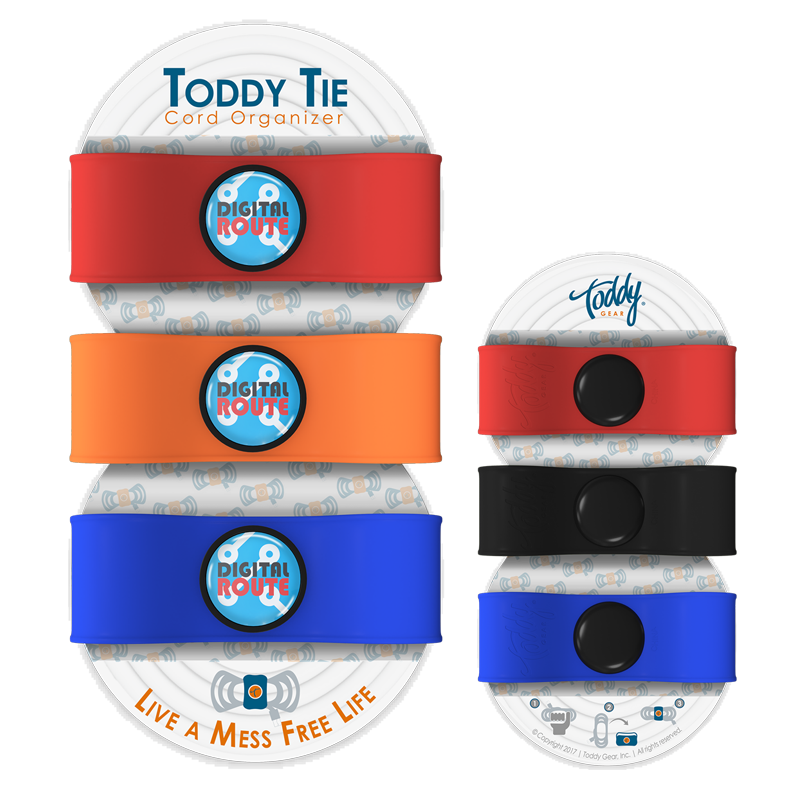 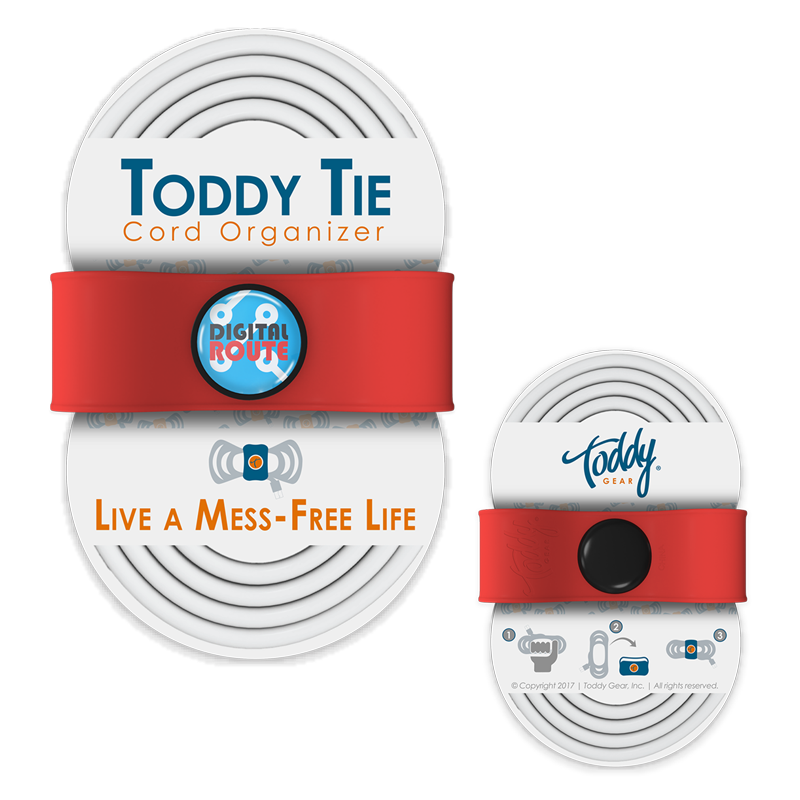 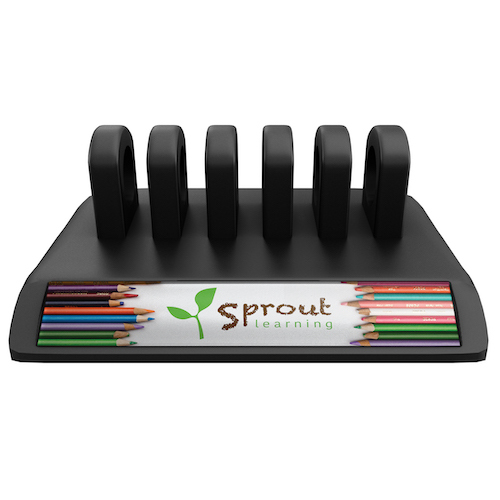 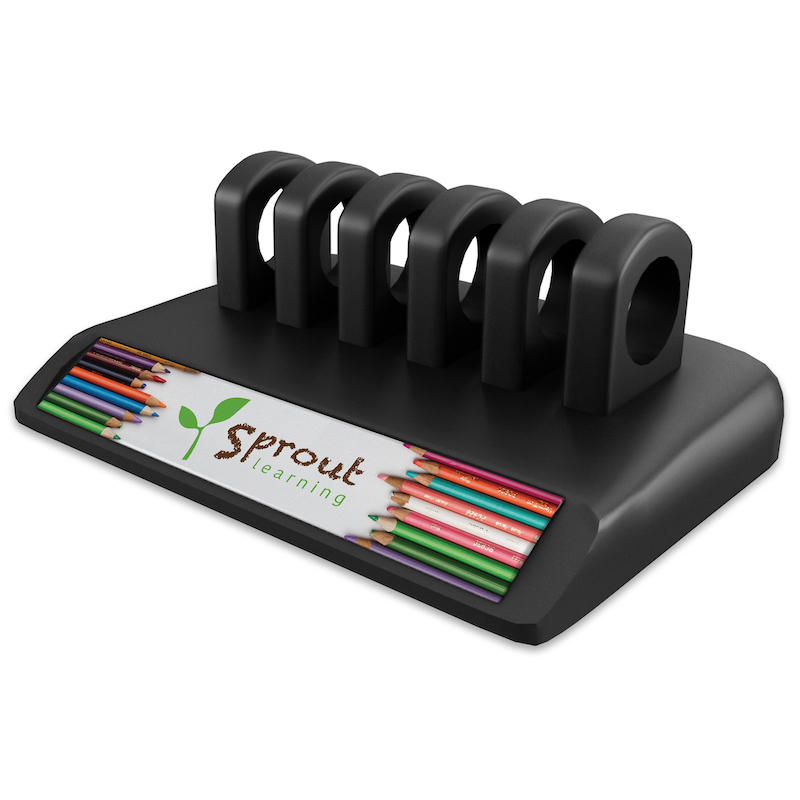 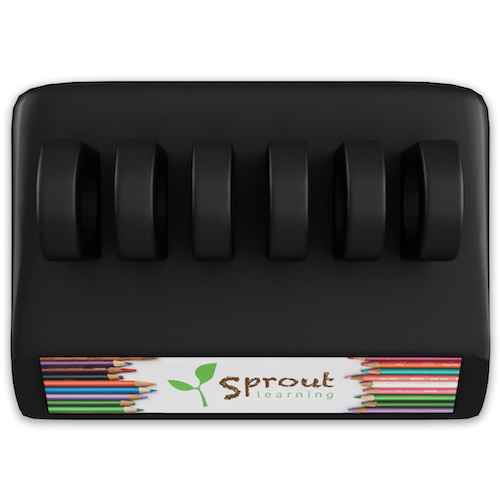 Brandable, clean, organized, and adhesive-free this desktop cord organizer features a perfectly angled decoration area, a sturdy weighted base, and an impressive 6 loop, 5 cable slot design that holds multiple cords per slot. 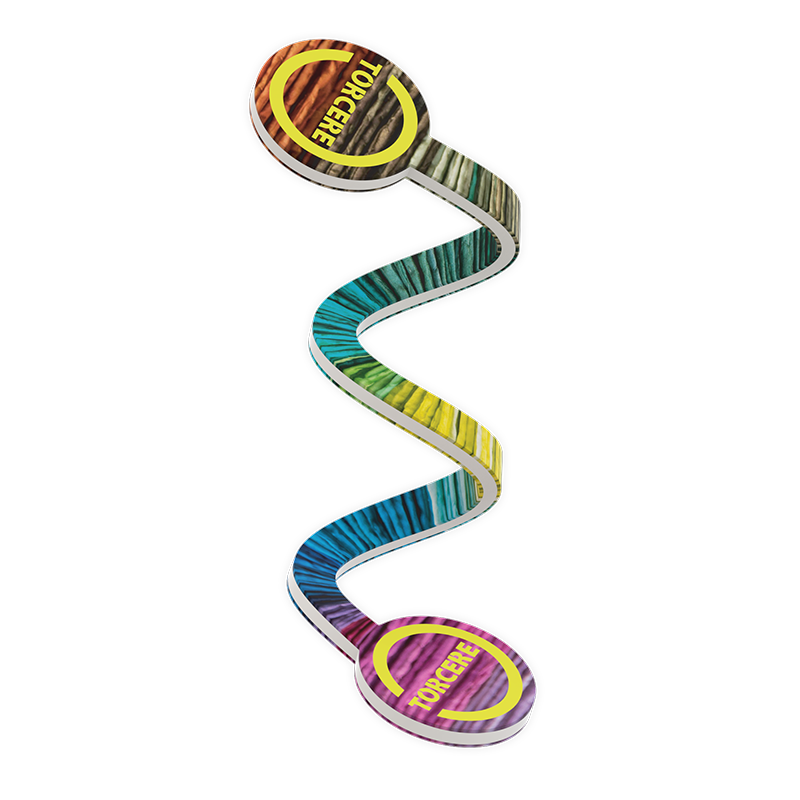 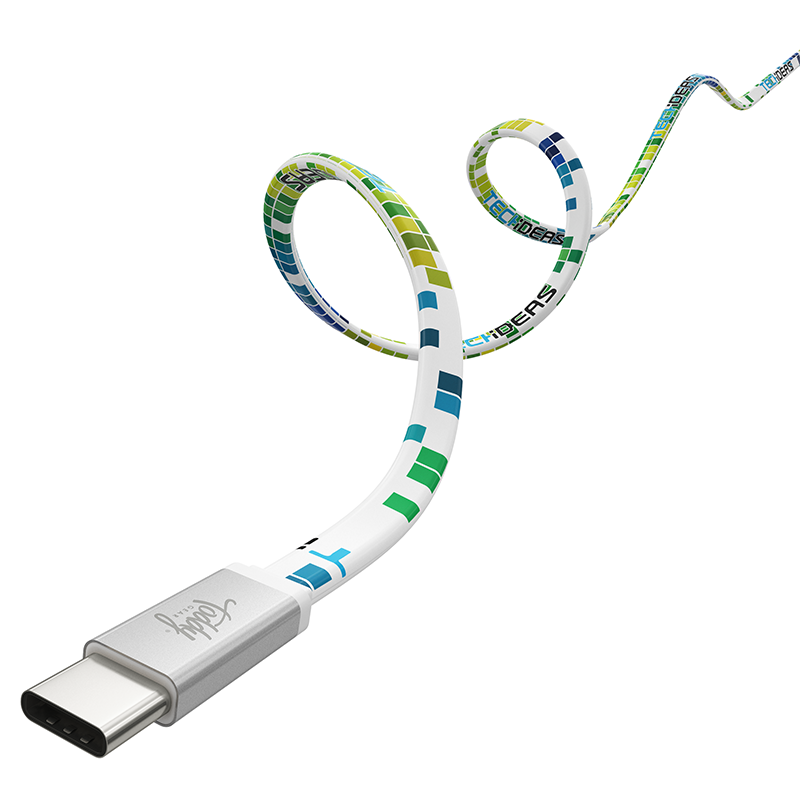 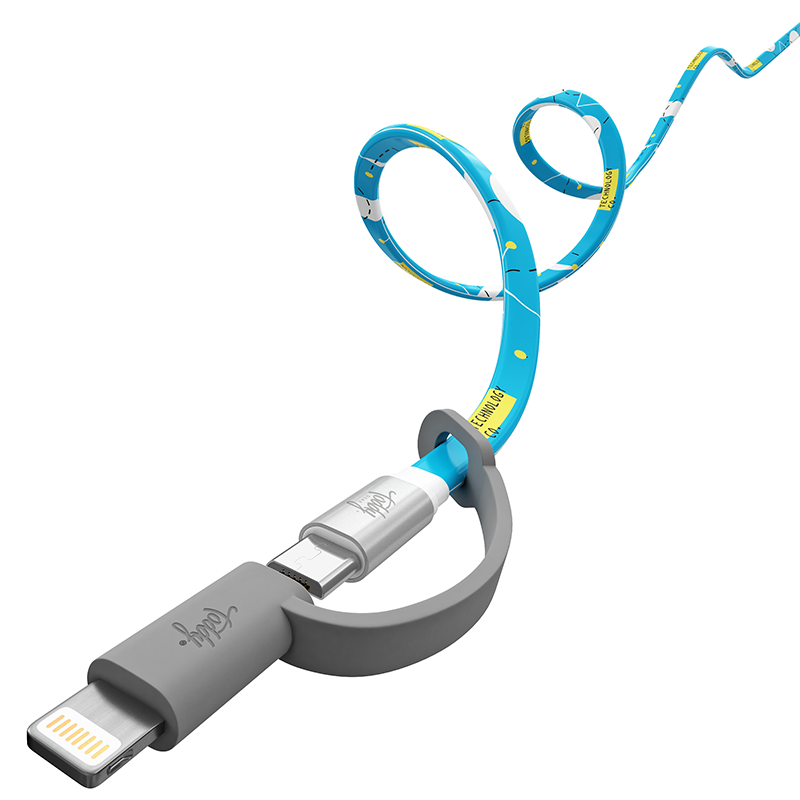 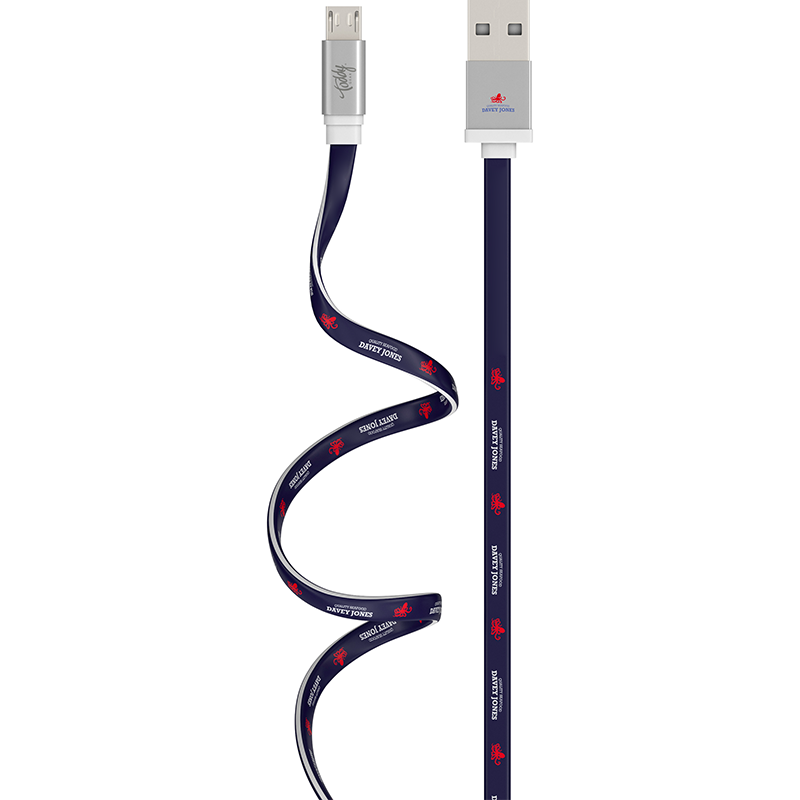 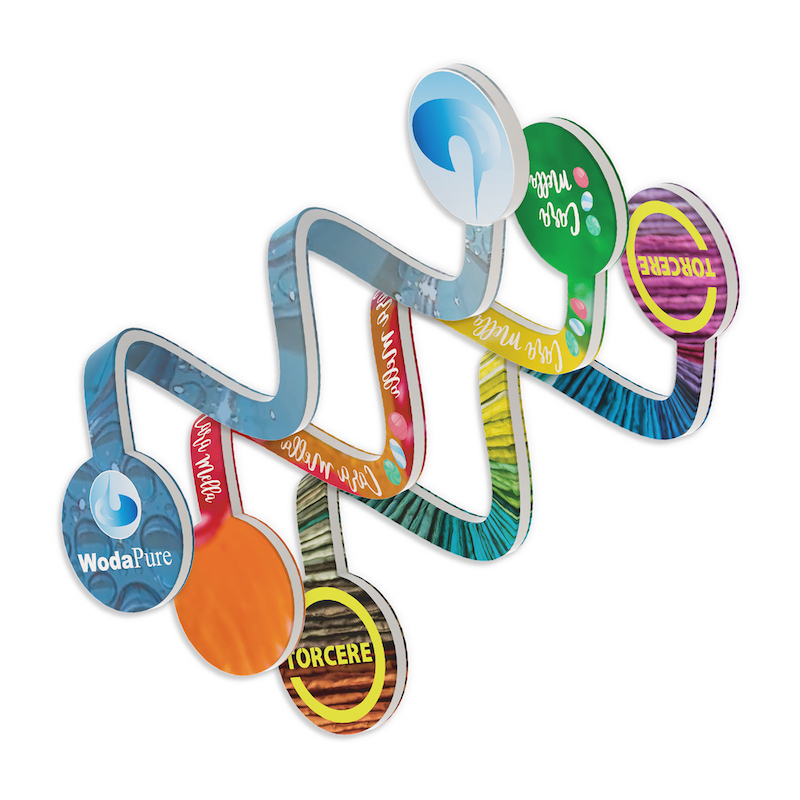 Its non-slip, rubber texture securely holds the cables in place, while an extra wide and thick base ensures stability and provides substantial full-color decoration area that keeps branding front and center. 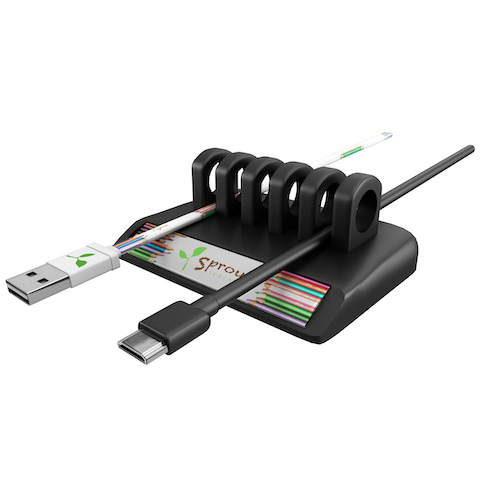 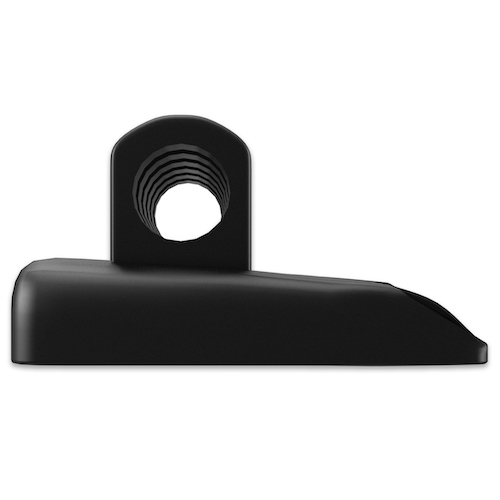 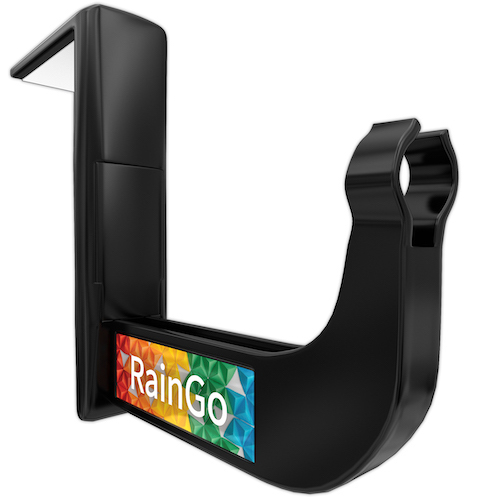 Securely holds USB, AC adapter, firewire, ethernet, display and audio cables, etc.